The Speed3 is back from the bodyshop and the hail damage is repaired. In the end, paintless-dent-removal (PDR) was utilized for the fenders, doors and hatch. However, there were too many dings and dents on the hood and roof so those panels were replaced with Mazda OEM parts. Richmond Auto Body did a very nice job…the color-match and paint blending look great. Also, the common body-shop blunders cannot be found here (overspray, sanding marks etc…). The work is guaranteed, so I’ll keep a sharp eye in case I notice anything in the future but so far so good! I’ll resist the urge to seal the fresh paint for 30 days (to allow for proper outgassing). However, that doesn’t mean we can’t continue the weekly washing routine. Thankfully, my new Gilmour Foam Gun makes washing a snap. The gun allows you to adjust the ratio of soap/water in the foam to suit light or heavy soil. This thing rocks! Figured you guys would like this too. From my own personal favorite era of road racing – the Group C era. One of these days I’ll do a compilation outlining some of the technology used in this phase of motorsport. It was essentially where modern technology that we would recognize today converged with the wild west mentality of motor racing in the 50’s and 60’s. The cars were insanely powerful (800+hp), extremely lightweight (1760 lbs minimum weight)blazingly fast (240+ mph), and threading the needle between sane and safe. This weekend marks the return of F1 from summer vacation. 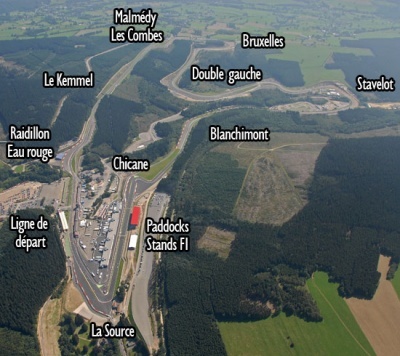 The illuminati have converged on a tiny town in Belgium to watch the best of the best race through the forest on one of the most challenging tracks in the world. It’s a favorite among drivers because it’s very high speed (over 4 miles long), yet extremely twisty and complex. This video is a few years old but gives you a great perspective on what it’s like to run this tricky track. On an unrelated note, this is our 1000th post on cornerbalance since starting back in 2008. Thanks for checking in and we look forward to 1000+ more posts! In Color Part III – Subaru! Can’t leave the Scooby guys out! Once again, each set is made of genuine 6AL-4V Grade 5 Titanium. They are stronger than Grade 8 stainless hardware, and their gorgeous finish won’t fade away over time. Colors available are: Blue, Gold, Green, Polished, Purple, and Black. In Color Part II: Evo!!! Titanium Engine Bolt Kits for Evo VII-X now available!! Our pursuit for the coolest stuff out there for your car continues with these new Titanium bolt kits for your 350Z, G35, G37 and 370Z! If you’ve been looking for a way to spruce up your engine bay with something unique, then check out these titanium engine bolt kits! Each set is made of genuine 6AL-4V Grade 5 Titanium. They are stronger than Grade 8 stainless hardware, and their gorgeous finish won’t fade away over time. Bedding your new brake pads is one of the most often ignored, but critical aspects to ensuring the pads operate as they should, and last as long as they should. All too often, customers experience odd noises, vibration, grabbiness, lack of response, etc, all due to improper pad bedding. Here is how to bed your brakes, the right way. This guide was written by Endless, but applies to all pad compounds out there. -Please make sure pads are mounted on clean disks free of contaminants, dirt and friction material if switching to Endless brake pads from a different manufacturer. This can be done by resurfacing the rotor surface. This will ensure the best performance from Endless brake pads. -Make sure the brake pads are installed correctly. 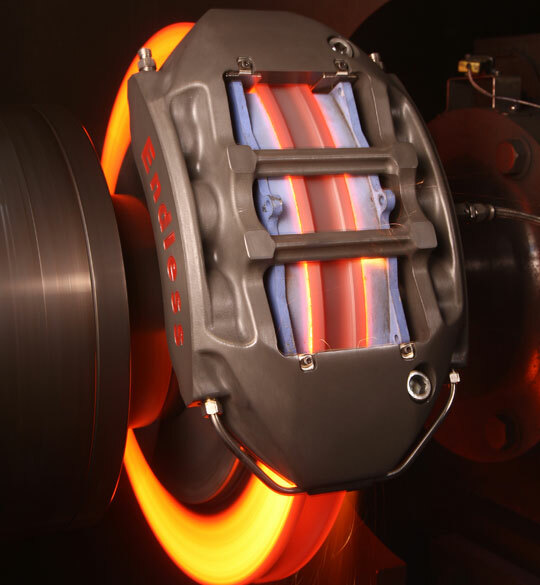 -If using Endless brake pads on the racetrack, please use rotor temperature paint on the brake rotor’s vanes and cheeks to monitor disk temperatures, and this will also assist in making sure the brake system is working at optimum conditions. NOTE: This is especially needed if using Endless brake pads with Porsche PCCB, Brembo/SGL CCM, or Nissan NCCB brake disks on the racetrack. Brake disk wear on OEM CCM disks can greatly increase if the disks are used beyond the acceptable temperature range. Please do not use CCM disks for extended periods of time over 600 degrees Celsius. If the pink temperature paint has turned white on the rotor cheeks, then extra care should be taken. cycling the pads and disks so that initial pad glazing, and other potential issues are avoided as much as possible. This will help the Endless brake pads and disks last as long as possible.  Please allow plenty of safety space when performing bedding. Please do in a safe and controlled environment. stop, especially holding the right foot on the brake pedal on hot brake disks.  Do not use left foot braking for bedding procedures.  When bedding, bring the brake rotor temperatures to 400C. If the disks have temperature paint on them, the green paint should have turned fully white.  Let the brakes cool down to ambient temperatures before hard use.  If performed on a racetrack, 2-3 hot laps around the circuit at race speed should be enough to complete bedding of pads and disks. We’ve been steadily working on the site, revamping various product offerings and giving you guys even more options than ever before. One project that we’ve recently undertaken is updating the range of Endless brake pads we offer. As of today, we’ve completed the 350Z section, and will continue to update the other cars in the coming days. We now have every single Endless compound listed for the 350Z/G35, allowing you to truly get the information you’re after. If you have any question on which pad compound is right for you, just let us know! 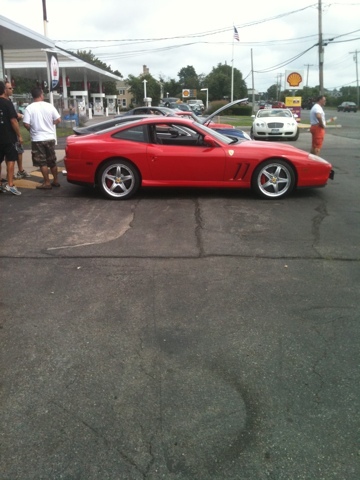 I’ve only seen 1 of these bad boys in person…and it was in poor shape at best. They built 1009 of them to homologize the spoiler for use in racing around the world. Other than that, it was a standard 280ZX tarted up with some stickers. The damn thing came with hubcaps (the one shown here has the wrong wheels on it). 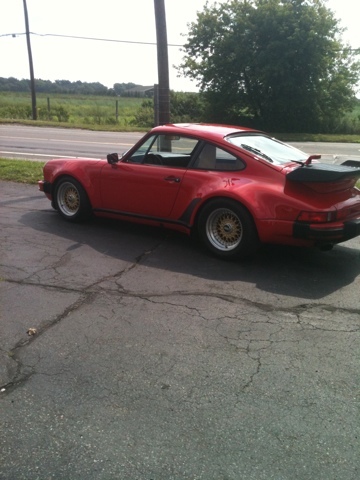 Following in the tradition of Porsche, the spoiler was made of that funky mid to late 70’s rubber stuff. 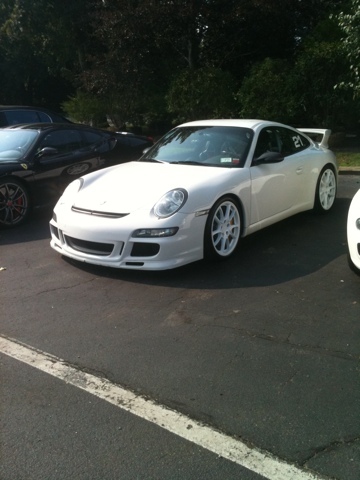 Porsche must have had ownership rights in the factory or something because they used it on everything. Had sort of a half Nerf, half dense foam feel to it. But it made 380 lbs of downforce – not too shabby. Get into the wayback machine to 1980 – and all the cool kids had the Datsun 280ZX. Ever see the “Black Gold” commercial on youtube? Hilarity. This car is #1 of #3000 10th Anniversary Models made – and has just 1000 miles. To the best of my knowledge they only came in black/gold or black/red. It just so happens we had one of these about 10 years ago that had very low miles, but was in a bad accident. I’ve still got parts from it waiting for the day where I can continue working on my ’79. Many readers of the blog know we love everything cars, no matter the location. What many don’t know is that for many decades, our own backyard in Long Island was a renowned hub of motorsport action The Bridgehampton Racetrack was regarded by many as one of the finest tracks jn the world. If you’ve been lucky enough to drive it, or have seen video footage, you know it was the stuff of legend. Sadly the track closed in the early 90’s due to pressure from surrounding neighbors. Like so many pristine pieces of properties in New York, it’s now a golf course. However, the passion of those who attended the races, participated in the many events held every weekend, is alive and well. For many years, the gearheads out east would meet at Marty’s Old Stone Market, a local eatery. For a few hours each Sunday, racers, business moguls, mechanics and aspiring enthusiasts alike would meet, swap stories, show their prized possessions, and hang out over an egg sandwich and some coffee. The original Cars and Coffee! There isn’t a track to meet at anymore, and Marty’s owners didn’t like people hanging out in the parking lot all morning, but the old guard now has its own place to call home. 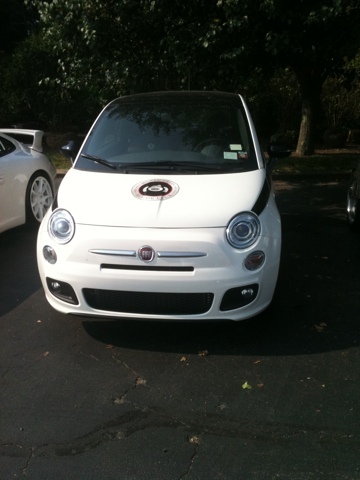 Some area enthusiasts, along with Ferrari of Long Island now run a clubhouse of sorts for grown ups and their toys. The Old Stone Boys Club is a haven for those who’s heart pumps 116 octane. Sunday mornings the boys now have somewhere to go that’s all their own. No talking about what drapes to buy, or what so and so wore to last nights party. Just car guys talking cars with other car guys. Now, I’m in a whole different tax bracket than the guys here but it’s no matter. Cars guys are car guys. More than a few asked about my Z with the same enthusiasm as I asked about there Porsche and Ferrari. One of the guys was mentioning he even recently bought one of BAR’s ex-F1 cars and is currently undergoing a full rebuild. There were cars of all types, owners of all types. It was a reminder of what binds us all together. For some it’s their job, for others it’s a hobby, but for all of us, it’s a love of cars and motorsports. It’s pretty cool when the lot has an R8, a 930, a Panoz, a 430 convertible, an older Mercedes cabriolet, a Vantage, my 350Z (guess who felt out of place! ), and more. We’ve blogged about this car before but it’s worthy of showing it in the element. The attention to detail is something many of us strive for when building our cars but few rarely achieve.